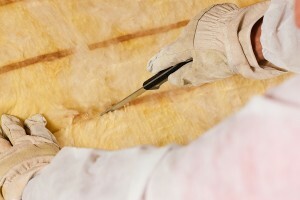 If you need new batt insulation installed in your home in the Evansville area of Indiana, you don’t have to try to install it yourself. Instead, you can just turn to 31-W Insulation, where we perform top-notch installations of premium, energy-efficient insulation for homes throughout the southeastern United States. With new batt insulation in your house, you’ll be able to enjoy more consistently comfortable indoor temperatures, as well as the fact that your HVAC system won’t have to work as hard, helping you save on your energy bill. Additionally, when we replace your old insulation, you’ll be able to enjoy more than just the energy saving benefits of new batt insulation. Your old insulation could be rotting or even harboring mold spores, so replacing it can improve the air quality in your home. Also, by replacing thinning, worn-out, or simply outdated insulation, your walls will better filter out obnoxious outdoor noises, making for a more peaceful indoor atmosphere. For more information on our batt insulation, or to schedule a free insulation assessment in your Evansville, Indiana, home, contact 31-W Insulation today.